For anyone of a certain age, everything about the original Pokémon games ooze with a level of nostalgia that is surely dangerous to the human mind. As if to have a poke at this, Pokémon Let's Go, Pikachu! and Let's Go, Eevee! have been confirmed to take place in the same region as the original titles, and this video shows that in style. Uploaded by the folks over at Nintendo Wire, this side-by-side comparison gives us a look at how places such as Cerulean City, various routes, the Cycling Road, Mt. Moon, and more have been fully re-imagined for the new titles. As you can see, every area is immediately recognisable, with bushes, signs, and pavement patterns being almost identical between the new games and Pokémon Yellow. It's a nice nod to the early games, and potentially allows players to explore the region in the way they likely imagined it to look in their heads all those years ago. 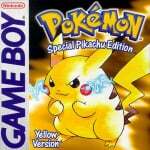 Now then, how many more times can we play our old copy of Pokémon Yellow before it breaks on us? I can barely tell the difference between the two. Correct me if I'm wrong, but the GBC is on the left hand side, right? @Rhaoulos No, the left is Pokémon Yellow and the right is Pokémon Red. @Rhaoulos I think it's reverse just because they said Gameboy and not Gameboy Color so the one with color should be the switch version. Wow very cool! Did not expect all the scenery to match up so well! Now this weirdly makes me want to get this. Who’d have thought that would be the tipping point for me. Oh wait this is Pokemon... guess I should’ve seen that coming! It's looking good! It's not as big of an upgrade to me because my first time in Kanto was in HeartGold, still an improvement though! Guess this kind of throws water on the whole "spin-off" argument, it looks like a remaster w/ motion controls tacked on. And unlike FF7 people wont' have to wait 10 years for it. I think my kid just bought Yellow as a $10 VC download recently so I think he'll be curious to see this. One thing I do like about this is the 2 player. I doubt player 2 will be doing very much, kind of reminds me of the player 2 assist in SMG, but hopefully it's enough that my kids can manage. But if not, hopefully each account can have it's own save file and the kids can share the 1 game purchase. They both want Eevee so buying 2 copies, 1 of each, probably won't happen. Or we may just skip it b/c neither plays Go despite both of them being huge Pokemon fans and owning their own smartphones. We'll see what E3 says about our holiday gift list. It's kind of empty so far w/ a spot held for SSB but I'll believe it's 2018 when we get a date. GameXplain's version of this is way better. Woah hey! Nintendo Wire's been getting mentioned here a lot lately! I use both Nintendo Life and Nintendo Wire as my two best sources for Nintendo news (other than Nintendo themselves). When you're finished reading up on all the excellent content Nin. Life has to offer, check out Nin. Wire! @rjejr I never understood the argument about it being a spinoff. Its a core remake in the same vein as Heart Gold and Soul Silver except, as you pointed out, its got motion controls tacked on and features influenced by Go. And let's not kid ourselves. This is clearly a test to see how well these features and style translates to the main series and to a console. I say that as someone who isn't necessarily deriding this and will probably buy one of the games (I can't pass up the opportunity to play co-op Pokemon with my daughter). But can understand the hesitation some have about how this game and the response may influence the main series from here on out. @UmbreonsPapa I can understand people not liking the Go influence, not every person likes every change, and the Wii showed us most people, ie gamers, don't like motion, but that doesn't make this a spin-off game as much as it seems to be a Yellow remake. The connection w/ Go sort of looks like Pokemon bank to me. Maybe thats' the problem, people are annoyed they can't use their $5 yearly fee bank with this game so it's a spinoff? My kids, as much as they play every Pokemon game, have never paid for the bank, they say they get along just fine w/o it. Pokemon Bank, as far as I can tell, has never worked w/ any game on Switch before, so maybe they are waiting for the Pokemon Bank on Switch announcement before announcing Bank compatibility for this game? 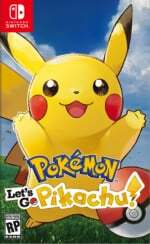 Do the let's go games have a camera that you can move around? That's what it's called right, what true 3d games have? Not a fan of a "remake" that drops mechanics and replaces them with dumbed down versions. I don't think this deserves to be called a remake. Just "inspired from" but not a remake. Dropping wild Pokemon battles for just throwing balls Pokemon Go style is not an improvement in my book. I'm still very much against Pokémon Let's Go Eevee/Pikachu and their mix and match of Pokémon Go (trash) and traditional Pokémon (amazing).. But this does look very nice, and I'll probably buy a copy of Let's Go Eevee because it's always been a dream of mine to have Eevee as a starter running with me. This would've been perfect if you could battle wild pokemon. Wow, I just caught it in this slowed down video... so that screenshot of riding a Lapras that looked so blurry and fake was in fact real! That leaker just got some cred! Am a bit unsure whether or not I want this now. It looks decent enough but guess I'll wait and see what the reviews say.